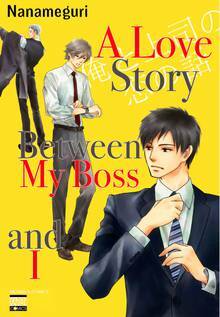 [Free Books] A Love Story Between My Boss and I｜MANGA.CLUB｜Read Free Official Manga Online! The new employee, Takanashi, could not believe his ears when his mentor, Tokunaga, confessed that he is a gay that has a crush on their president, Mr. Furuya. Since then, Takanashi has awkwardly struggled to adapt to a company that doesn't seem to bother about Tokunaga's sexuality. But once Takanashi understood his mentor feelings, he couldn't take his eyes off of him anymore. Wait? Is this feeling... Love? "A love story between my Boss and Me" is indeed a sweet rom-com between a "straight" subordinate and his cute superior that will warm your day!